Here at the Basement Sump & Pump Company we get lots of customers asking us for advice about their sump pump. Many of our customers have never even heard of a sump pump before! But don’t worry; we are here to help ensure your sump pump runs as smooth as possible and provide you with all the information you need to keep your basement warm and dry. A sump pump is a pump used to remove excess water from a chamber, which also known as a sump. Water may collect in the chamber from excess groundwater, channelled from a perimeter drainage system, or from rainwater. They’re commonly found in basements which are below the water table. Sump pumps are usually made of metal or plastic and are commonly submersed inside the chamber. When the water level inside the chamber reaches a certain level, the pump will turn on automatically and drain the water away to a convenient drain off point. Some pumps also have an alarm to let you know when the water level is too high. Other pumps come with a battery back-up system so they can work in the event of power failure. Why do I need my sump pump serviced? Once your sump pump is installed, it’s easy to forget it is even there. Many people only become aware that they have a sump pump fitted if suddenly their basement starts to flood. Flooding can occur if your pump has broken, if the pump isn’t powerful enough or if there is a blockage in your perimeter channel. An annual service may be required to validate any insurance or guarantee on your basement in the event of a flood and to avoid any loss of personal property that may be housed near your pump. Regular maintenance is recommended to ensure your pump is functioning properly. To keep your sump pump in good working condition, we recommend having a service every 12 months. However, some pumps are used more frequently than others. For example: We attend many pumps in London that are heavily used due to a build-up of silt in their basement drainage channels, so in such instances, we would recommend a service every 6 months to ensure the pump is working as it should. The Basement Sump & Pump Company can offer competitive discounts to customers who require a service every 6 months. What do I do if my sump pump alarm goes off? In the event of your alarm sounding, don’t panic! Sometimes condensation will make contact with the sensor inside the chamber and set off your alarm. To find out if the water level inside you pump is too high, then listen to see if your pump is running constantly. It will sound similar to a dishwasher. The pump may be continuously running for various reasons, most of which can be easily fixed. If you need an engineer to inspect your pump, give us a call on 0800 019 9949 and we will endeavour to get someone out to help you as soon as possible. How long will my sump pump last? 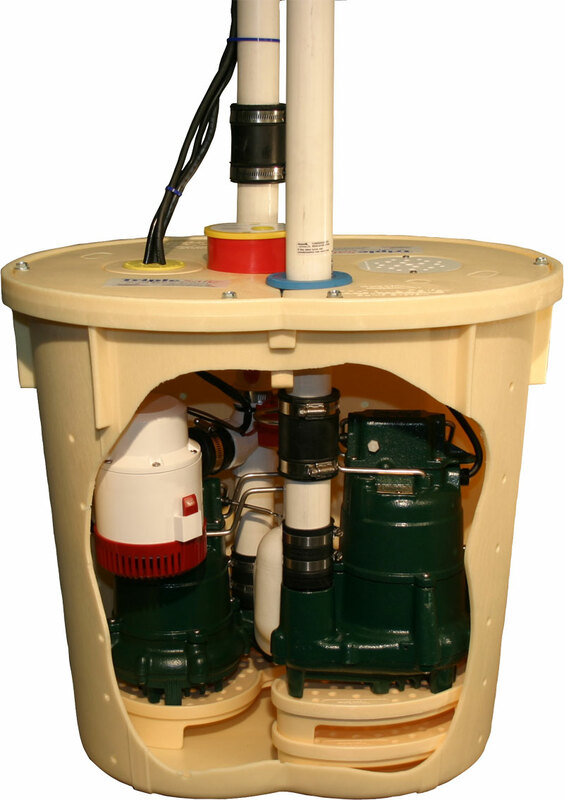 Submersible sump pumps generally last up to 10 years if not longer. Regular service will ensure your pump lasts as long as possible. As submersible pumps can be expensive to replace, it will be cheaper for you in the long run to prolong the life of your sump pump. However, it is always worthwhile checking with the manufacturer of your pump to find out how long they advise the manufacturers warranty is valid for.